The Jaff’s tribe people are one of the largest and most prestigious tribe in Kurdistan, hence was the focus of attention by historians, researchers, and foreign explorer. Despite all such intense but rather late focus in the Jaff, as the case with other indigenous Kurdish tribes, the unknown history will always remain far greater than all the published information and knowledge about them however little, a fact we do not deny, as sources of the most important and beneficial to the new generation who aspire to know more about the history of its nation and past glories of their fathers. The Jaff was not a mere big and formidable tribe, it was rather a Tribal Emirate comprising of various tribes and sects that maintained their unity and solidarity within the a larger union under the leadership of their Emirs (Begzadas) in most epics and circumstances. This, dear reader / viewer, is a summary of what we intend to acquaint you with, of the effort that we are presenting to you. Most of the information has been gathered from interviews, which were conducted with informed individuals in this field, together with texts, and periodicals that specialize in the affairs of tribes and their sectors. Many of the source persons in this research have the experience of decades in the discussions of significant historical facts, and well trained in recalling details. Despite this fact, double-checking was carried out to ascertain the truth of the information. AlMojahid (fighter) Shaikh Mahmood Al Hafeed entered into a long and vicious struggle against the British imperialists and their allies and cronies in our country. After the alliance between King Faisal I and the Iranian Government, whereby the Iranian Government became an additional weak and active dimension towards the Shaikh, his followers, and allies; at the time when the Parliament began the discussions of budgeting to finance the military operations in the new fiscal year, and also the intensification of bombing by the British Air Force on the areas where the fighters and places of activities. In the midst of those developments and difficult circumstances that surrounded the Shaikh and his uprising, a series of communications and correspondence that the Emirs of the Jaff tribe together with leaders of his allies tribes in Gar'Mian, Shaikh Mahmood Al Hafeed decided to move to this strategic area and make it the base and a launching point of his uprising, laying back on his supporters in the Gar'Mian district comprising of the Jaff Emirs and members, as well as allied tribes to attack the forces and enemy groups of which surrounded the dear city of Kirkuk, to try and disperse and consequently defeat them, for the purpose of liberating that city, well known for its multiple strategically benefits. Shaikh Mahmood was received with the utmost welcome and generosity that is always associated with the Emirs of the Jaff in the Gar'Mian, the place of glory, pedigree, and sacrifice. He began and the leaders of the Jaff the preparations and planning for their grand revolutionary objective of the liberation of Kirkuk, the beloved city, and the pulsing heart of Kurdistan. At the time, the beautiful scenery of spring, where the breeze full of glorious scents fill the hill and meadows of beautiful Gar'Mian, to make it magically attractive and appealing. As outlined above, the liberation of Kirkuk city had become the focal objective of Shaikh Mahmood AlHafeed and the Jaff Emirs at that stage of their uprising. Upon arrival to Gell district, they immediately began to plan and prepare for this purpose backed by the prestigious Jaff and other allied tribes, who possessed the fighting capabilities that were available for the achievement of such ambitious target. The plan required attacking the main enemy formations close to Kirkuk city, to be launched from the rough areas of Gell and proceed across Lailan and then enter Kirkuk. The enemy, who was following the movement of the Shaikh and the Jaff Emirs through his spies and agents, started taking precautionary and military measures in anticipation of the attack of the revolutionaries against the cities and the surrounding areas of Kirkuk; by bringing more military supplies in vehicles and the old metric trains that operated between Baghdad and Kirkuk. On 4 April 1931 and while Shaikh Al-Hafeed and a group of the Jaff Emirs together with prominent figures of Gar'Mian, hosted by Shaikh Majeed AlTalibani in the village of Awbareek, information of this gathering reached the British Air Force intelligence in Iraq, which in turn passed it to the Iraqi authorities. On the next day of 5 April, a force of hundreds of Iraqi police and mercenaries under the command of General Ramadhan Pasha, supported by canons and heavy Metrolios machine guns plus all necessary equipment, moved to this position in anticipation of the approaching battle in the district of Awbareek. 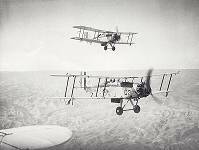 Prior to arrival of the battalion to the village, the British airplanes surprised the fighters in their positions and began heavy bombardments in order to corner and consequently stop them from retreating from the district before the arrival of the coming government forces. The attacking battalion reached the boarders of the village in the afternoon of that remarkable day in our modern history. They attacked the fighters from two main fronts in preparation of a quick penetration. The fighters and the courageous inhabitants of the Awbareek village who hid themselves who took refuge among the trees and streams on the southern side of the village, and in the valley on the east met the attackers with brave resistance. Indeed that glorious day, Shaikh Mahmood and his comrades achieved a heroic and wonderful epic written with the blood of their martyrs like Saikh Ali Qal BaZa and his 18 of his comrades together with others of the Jaff tribe who scarified their lives in the defense of the dignity and pride of the Kurds, and their legitimate nationalist rights. The British occupation after the World War I (1914-1928) was the start of a new era of the despised colonial occupation of our country that followed long and bitter decades of Ottoman rule. The nation under the British faced severe political, social, and economical circumstances, that resulted in huge scars on the lives of our people. This led the citizens to revolt to resist the new occupiers, paying a high price in lives and wealth, where the Jaff tribe bore a large burden of it. 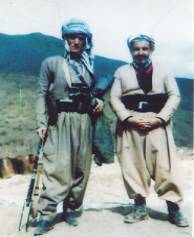 Kurdistan became the main arena of revolution and struggle against the occupiers, who faced our people at times with iron fist and fire, and with trickery and machinations at another. 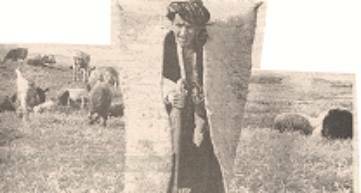 Under such hard conditions, and as a consequence, the Jaff tribe bore the largest burden of the injustices given their significance, influence, and role in Kurdistan. In the midst of that hardship, Kareem Beg ben Fattah Beg ben Mohammed Pasha Jaff became the leader of the Jaff tribe, who indeed proved worthy of it. He succeeded in maintaining the unity and cohesion of his large tribe, continuing the tradition of accompanying the seasonal travel as practiced by his fathers. In 1918 and throughout the 1920s, he decided to finally settle in the new Kalar village, which whish began to develop and prosper as it became the main center of the leadership of the Jaff tribe. Following the pattern of their Emirs, Begzadas and other distinguished persons before them, the Jaff nomadic tribe, and due to the prevailing conditions and emerging new circumstances in the land, they continued to settle in the Gar'Mian and Shahrazoor and other around Kirkuk, Sulaimania and Dyala areas, until this new pattern of life became dominant to overcome the old roaming way. In both cases (nomad then settlement), the Kurds never abandoned their sense of firm national belonging and attachment to the land of their beloved country, despite all the hardships and tribulations, which they went through for a long time. ] This chapter is allocated as a testimony on some of the stands, events, and evidences to corroborate clearly the principled way of life of the Jaff tribe of the struggle in the their modern history, after the British occupation of Iraq in particular, for the objectives of the people and their legitimate aspirations for better life. 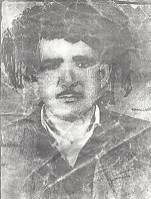 In addition to the patriotic stand taken by the members of the Jaff tribe, together with other Kurdish fighters with Skaikh Mahmood AlHafeed in the Battle of Shuaiba in 1925, they were also frontrunners when they participated actively in the national revolution of 1920 when the sons of the Roghzaie and Tarkhani clans of the Jaff tribe supported the uprising of the revolutionary Ibrahim Khan in Kifri. They were the avant-garde guard revolutionaries who liberated Kifri town where a local government was formed which included Haj Mohammed Tarkhani and Mohammed Jan Roghzadi. Those individuals suffered from the oppression, terror, and intimidations, like the other revolutionaries in Kifri from the aftermath when the town was reoccupied. The members of the Jaff tribe also took a fully supporting stand with Shaikh Mahmood AlHafeed and his reoccurring uprisings in Sulaimania, and particularly after the return of Shaikh Mahmood from exile in 1922 when the proclamation of his independent government in Sulaimania, and the clashes and fighting with the British that followed. At that period, there was an emergence of leaders from clans of the Jaff tribe like Khalifa Younes, Mohammed Ali Wasman, Rostum Roghzaie, Mahmood Khatter, and Ismaiel Ozeiri, who were the leaders of the main fronts of the Jaff revolutionary forces. It is imperative in this respect to point out the courageous and outstanding stands which the revolutionary Khalifa Younes Roghzadi during the battles of the revolutionaries with the British army after the new fall of Sulaimania in 1924 following the withdrawals of the fighters. His daring stand was phenomenal with Saber Beg in the Greeza battle of 1925 when they and their followers inflicted a punishing defeat on the British forces under the command of Colonel Lauwance, which fled in fright under the cover of four planes, that were bombing the fortresses of the Jaff forces in the vicinity causing heavy losses in lives and property. In February 1931 the sons of the Jaff tribe led by Kareem Beg and Dawood Beg, together with other allied tribes and Shaikh Mahmood AlHafeed, engaged in the legendary battle of Awbareek, when they excelled in fighting and defeating the large government forces, supported from the air by the R.A.F., breaking the sudden siege of the enemy despite their superiority in number and armament. The patriotic path of the Jaff elite, the Emirs, distinguished individuals, and other persons of the tribe in the Hewa party in the early years of the 1940s, an honorable landmark which their people pride themselves with, and a testimony of their acclaimed political and nationalistic awareness, together with their brethrens of Gar'Mian district in the Hewa party. They played a significant role in the reconciliation conference of the party that was held in Kalar village in the summer of 1944 and succeeded in solving the internal differences that inflicted the party at that period. 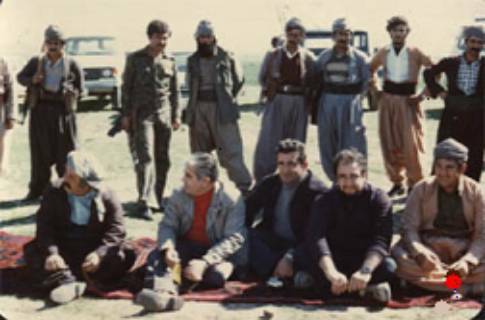 The village of GezaKan, near Kalar, also embraced the conference in 1945 known as the Qandeela conference, which was allocated to the support of the Barzan revolution of 1945. As a consequence, the Jaff cavalrymen, led by Mustafa Beg Jaff, and other cavalrymen of other tribes, conducted some revolutionary activities against government positions and departments in the area, without achieving the intended objectives. The distinguished participation and initiatives of the Jaff members of the Iraqi parliament during the monarchy period, in the contribution to the demands and requirements of their people; individuals like Mohammad Beg ben Fattah Beg Jaff representing Kirkuk, whose courageous stand regarding the case of Kirkuk in 1930 when he called for the deputy prime minister at that time Ja'afar AlAskari, and the deputy British High Commissioner to the necessity to implement the requirements and the rights of the Kurdish people which were previously adopted by the League of Nations. Also Ezzat Beg ben Othman Pasha Jaff who was elected to represent Sulaimania, and Ahmed Beg and Hameed Beg ben Majeed Beg the members of the Jaff from Halabcha. There was also the revolutionary Dawood Beg ben Fattah Beg ben Mohammed Pasha Jaff the member from courageous Kirkuk, who retained his membership throughout nine successive parliamentary sessions during the forties and fifties. The events and other happenings that the Jaffs participated in the following stages, are too numerous to be outlined in this research; but we mention in this regard to their sincere participation in the September liberation uprising, and their sacrifices in it, including their active involvement in the events of Darbandikhan in 1961, and the battle of Zale Safar in Gar'Mian district in 1963 under the leadership of Engineer Khasro Jaff and Dr. Hassan Jaff, whose braveries were outstanding in that battle. 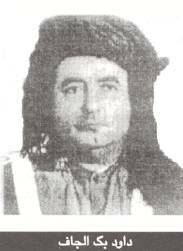 Mustafa Beg Jaff was elected to represent the tribe in the Kurdish Revolutionary Council, led by Mullah Mustafa Barzani in 1964. Lastly, we wish to state that what had been outlined about the history of the Jaff tribe is a fraction of a wider history of struggle full of events and happenings, which requires much further studies and research to shed light on its various aspects. Herewith under are names of clans and distinguished individuals of the Jaff tribe, the faction of Jaff Moradi in Iraqi Kurdistan. As previously outlined, the Jaff tribe consists of a number of clans and factions, each of which has its own customs. The Mekaeili (Mka ieh lee). Although we have no documentary prove of how the name originated, but many of clans’ the names where taken after a father’s or an outstanding individual’s name of this or other clan; therefore the name Mekaeili ( Mka ieh lee) must have been a name of the leader or a chief of the clan. 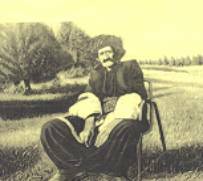 A number of Kurdish writers and historians believe that the Mekaeili clan belongs to Peer Mekaeil Shaho shash Angoshet (six fingers). Mr. Mulla Abdul Kareem Modaress states in his book Yadi Mardan, Mowlana (Master) Khalid Nakshabendi, p.7 “Peer Mekaeil was a man of God at that time, the descendent of the Khalifa Othman ben Affan, the third Islamic Khalifa. In 738h he moved to Jwanro district, a province of Sina town in Iranian Kurdistan, where he began to guide and enlighten the Muslim, residing in Daw Daan village close to Sirwan river in Jawanro and died there”. Historians do not support this hereditary connection, as it is a clan of the Jaff tribe as explained by the British orientalist Edmonds in his book: Kurds- Turks-Arabs-, p.130. Secondly their body structure, features, and skin color prove their link to the indigenous Indo-European family; as well as their language. This language in turn evolved from a Qiptarekhia language, named by the specialists as the original or primitive Indo-European language, which he believes it was common since 5000 B.C. Their descendents emigrated later on to Qara Dagh, Singaw, and Tanjaro area, where they settled in. The leader of the Mekaeili Jaff, Hasan Haji Qadir who belongs to the Family of Hama Lee Weesi. After his death his son Rostum became the leader of the clan, followed by Talib Faraj Mustafa, then his son Haji Jaza. The Mekaieli clan consists of four main factions, viz. Hame'h Lee Weesi: Are found in Zala, Rabat, and Careeza area, and the district of Tanjaro. Prominent persons of this faction are Rustom Hasan Haji Qadir, Merza Haji Hussain, and Ali Haji Qadir. RaSh Wa Bori: The leader of this faction is Faris Aziz Mardan; among prominent members are Mohammed Khan Suliman Ahmed, Majeed Mardan, and Mohammed Yousuf. Places of residence are Qaitoor and Imam Shaswar. Showan Kara: The leader of this faction is Ramadhan Bakhsh, and among prominent members are Nasir Mahmood and Faqqi Ali. Their place of residence is in Kifri district, Kora Gachena, GowTappa, Sengaw, and Zala. Aali Ba Gee: The name is of an old person of their ancestors. Elder persons claim that that person ‘s mother was a leader of Jaff (Beg Zada) tribe. Aali is the Kurdish pronunciation of Ali. And since his mother is of Beg Zada Jaff, she became known Aali Bag. 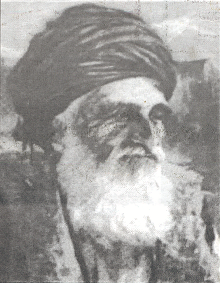 The leader of this faction was Haji Kaka Wala Qadhi Kheder Wees. After his death, his son Haji Mustafa became the leader and lives in Tershawa village in Sangaw district. Among prominent members of the faction Hama Salih Haji Nadir, Hama Khorsheed Haji Shaswar, Hama Talib, and Master (Mawlana) Khalid the head and founder of the Nakshabendi sect in the Middle East. Also the acclaimed Kurd poet Nali. In 1820 the fighting force of this clan consist of 500-armed cavellerymen, 1000-armed infantry. In 1922, one of the prosperous clans of the Jaff tribe used to own more than ten thousands sheep, in addition to cows, horses, and other animals. The Harooni clan consists of four main factions Vis: 1-The SaLeemi faction. 2-NarDe Sha Ye (Nadir Shahi) faction. 3-Qarmani faction. 4-Gholami faction. The leader of all these factions is Ali Hama Amin; among the prominent individuals are Ahmed Hussain, Abdul Kareem Haji Abdullah, Mohammed Hama Amin, Hasan Haji Qadir, Hama Tamas, Hama Ali Mohammed Amin, Ali Haji Mohammed, Ham Ali Abdul Rahman, Haji Mahmood Harooni, and his son Mohammed , Mohammed haji Mahmood Golah Khana, and others. In 1820 the fighting force of this clan consisted of 300 cavalrymen and 400 infantry. This clan resides in the districts of Sar Qala’a, Qala’a Soor, Dokan, Sheherzoor, Zarain, and in surroundings of Qara Dagh, Muwan, Qali Jo, Shirwana, Sangaw, Tappa Garoos, and Ba RaadGal. Others reside in Iranian Kurdistan in the districts of Sena (Sanandaj), Saqez, and Naw Khowan. The clan consists of four main factions, viz. : 1-Hama Jan 2-Sarhad 3-Roghzad 4-Ismael The Ham’e Jan Faction: The head of this faction is Khalifa Yunes; and most prominent individuals are Ahmed Rustom, Sarhad Khalifa Yunous, and Anwar Khalifa Yunous. The clan resides in the village of Dezkara and Qoli Khan Sarhad. The Roghzad Faction: The leader of this faction is Fattah Kameran; and among prominent individuals are Othman Amin, and Tawfeeq Shah Wees. The clan resides in the districts of Shirwana, Sar Qala’a, Sangaw Te Peh Garos, and BarDah Gel. The Ismaeil Faction: The leader of the faction is Madhat Salih Kaka Khan. Some of their elders are Rustom Mohammed Fattah and Abdul Kareem Robitan. The clan resides in the surroundings of Sar Qala’a, Qala’at Soora, Dokan, and around Qara Dagh, Mowan, Qali Jo, and Shirwana. Some of the prominent members of the clan are Sulaiman Khan and his sons, Mohammed Sadeeq Khan, and Ham’e Khan. The fighting force of this clan consists of 300 cavalrymen and 500 infantry. This clan resides in the districts of Zena Wat, Sangaw, Shirwana, and in Hasil, Alan, and Peshdar, and in more than twenty villages around Erbil, while others live in Iranian Kurdistan in Saqez, and Diwan Dara. This clan consists of seven factions, vis. : 1-KhedirWeesi: The leader is Haji Karam Wees. 2-Bora: The leader is Mahmood Murad Khan. 3-Peshderi 4-Karam Wandi. 5-Sar KaGe. 6-Sar Ka Wa Ne: The leader Kaka Hama Amin Shbaz. 7-Lorte Ye: The leader is Haji Kareem Mohammed Glali. Prominent individuals in this clan are: Abbas Agha, Sharif Fattah Agha, Haji Mahmood Agha, Haji Ahmed Agha, Rasheed Agha, and Haji Mahmood Agha Ala’an. The present leader of the Galali clan is Maref Agha Galali. Some well known persons of the clan in Erbil are: Faqi Khedir Halandah, Mulla Ibrahim Mam Shaikh, Haji Rahman Galali, Qahhar Mustafa Fattah, and the martyr Cardo Galali. In Beshder: Kareem Qobad, Mohammed Agha Sherif, Tawfeeq Agha, Mustafa Agha, and Mohammed Dawood Mahmood Agha. In 1820, the fighting force of the clan consisted of 200 cavalrymen and 300-armed infantry. This clan of the Jaff tribe resides in the districts of Shahrazoor, and Bawa Noor, and the surroundings of Khor Maal, and the district of Shirwana, Kani chaqal, Bani Khelan, Kani Sard, Suwaila Mesh, Haias, Saied Sadiq, Saraw Sobhan Agha, and Kawa charmo. The clan consists of four factions, vis. : Ibrahimi (Braimi)- Mir Weesi - Worda Shatry- Yousif Jani ( YusoJani). 1-The Ibrahimi (Braimi) Faction: The old leader was Hama Mahmood Hama Braim. Among prominent individuals are: Haji Qadir Mohammed, Haji Braim Shatry, and Mustafa Haji Qadir. Their areas of residence are Bawa Noor, Kalar, Shahrazoor, and the surroundings of Khormal district. 2-The Mir Weesi Faction: Some of their distinguished persons were: Hama Faraj Aagha, Qadir Peer Wees. Their places of residence in Shirwana district and surroundings of Khormal, Qarah Tappa, and Warmawa. 3-The Worda Shatry Faction: Their leader was Faraj Hama Soor Hama Rasool. Among the people distinguished in this Faction are: Hama Khasro, Hussein Haji Mohammed, and Sulaiman Hama Rasool. The places of residence of this faction are: Kani Chaqal, Bani Kheilan, Kani Sard, SoiLeMeesh, Haias, Saied Sadiq, Qaweel Beg Shakha Lah, Hazar Kani, Warmawa, Sowary, and Shirwana. 4-The Yousif Jani (Yusojani) Faction: Their leader was Mahmood Peer Wees. They live in the districts of Garmian Saraw, Sobhan Agha, Kawa Charmo, Dari Ka Lan, warmawa , Penjween, and GeR Dasneh. The fighting force in 1820 was 400 cavalrymen and 600 infantry. This clan lives in the districts of SarQala’a, Drozeneh, Toran, Kani Maran, Piazah Jar, Mellah Sur, Qaara Dagh, Chepogh, Kani Ge Wara, and Dari Qallan. This clan did not divide into factions; and their leader was Hama Hasan. There are 400 families; each has its own name. The families: BawaYeSee- Lawah- Alijan- KlawSawez- Qoochi- Bawa Gorah- Hama Yas. Out of these families, the following emerged prominently: Haji Mohammed Salih Shahmorad, Haji Dara Rasheed Swarah, Kwekha Namiq, Kwekha Salim, Haji Rasool, and Haji Feqi Mohammed. 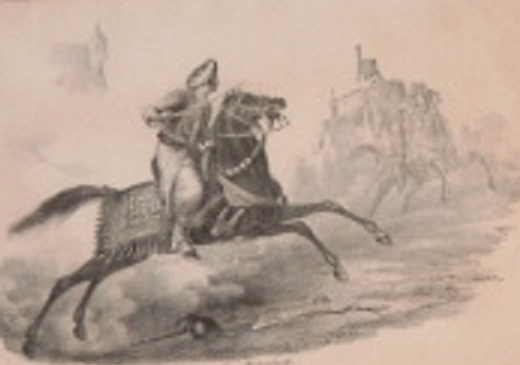 In 1820 the fighting force of the clan consisted of 400 cavalrymen and 200 infantry. This clan lives in tents made of black goats’ wool, hence named Jaff Rashkah (the black) in relation to their tents. They reside in the districts of TaLaan, Jafayati valley, in Sordash, Docan, and Bengerd area, Mawat, Khala Kan, Rania, Between, Qaladzei, Bazian, Peerah Magroon, and Sulaimana. They originally belong to the Mekaeili clan; 300 years ago they immigrated to Ta Laan area. They were seven brothers, each headed a faction: 1-Ma Mand, known as Mam’e. 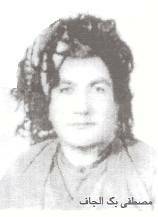 2-Khwekha Saeed, known as Khekha Saada. 3-Sofi Ibraheem. 4-Kwekha Saeed Ham’e Amin. 5-Ali Agha. 6-Kwekha Mohammed Yakhan. 7-Wai Ys Agha. They were the sons of Khedir Agha. Prominent individuals of this clan: Kwekha Abdulla, Kwekha Mohammed’s father; Kwekha Mohammed, Kwekha Rasool’s father; Kwekha Rasool, Kwekha Amin’s Father, who is Kwekha Ismaeil Ta Laan and Mohammed Tawfeeq Ta Laan’s father. 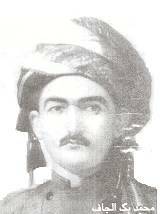 Kwekha Ismaeil Ta Laan: Known for his generosity, high morals, and patriotism, and participated and his sons in the liberation movement of the Kurdish people and were field leaders in it. Tens of its sons were martyred in this struggle, amongst them were: Mahmood Seedah Ree, Ghareeb H’e Lah Dni, Mulla Rasool Shar’e Steini, Kaka Ham’e Tih Laani, Mohammed Haji Ibraheem Yakhani, Mulla Rasool Heh Lid’e Ni, Rizkar Ykhyani, Salih Weh Yesi Naghayi, Mamosta Abdul Rahman Kareem Swara, Swara Seeda Ree, and many others. They live in the districts of Shirwana, Jalah, Bawa Noor, Saied Mohammed, and Biah Rash . It consists of 200 families headed by Mustafa Qadir. 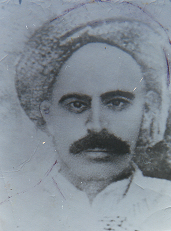 Faraj son of Ali Merkhan emerged a distinguished person in the clan. They live in the districts of Da Mah Dakan, Arif Awa, and Faraj Awa. Their leader is Meke Gangi. Among the well-known persons of the clan are: Mahmood Abdul Rahman, and Haji Mohammed Haider. The clan resides in the districts of Qora Too, Horin Sheikhan, Shirwana, Bawa Noor, Khor Mal, and Qara Tappah close to Kifri. Their leader is Ahmed Raheem; and they consist of 150 families. In 1820 the fighting force of this clan was 30 cavalerymen and 100 infantry. They reside in Shirwana (Goban), and Domilan, while others live in Shahrazoor in the village of Qala Rakh, and Kharjana, and Beistan Sur. Wali Dewana, the acclaimed Kurdish poet belongs to this clan, the Shirwani faction. There are 500 families; and their factions are: Shirwani, Kachali, Soski, and Mahmood Khana. Their leader is Fatih Mohammed Kareem; prominent individuals are: Darweesh Sameen Shah WaYes, Faattah Mahmood, Mahmood Amin, and Ham’e Hasan Mahmood Khan. The clan resides in the districts of Greeza, Bengerd, Saraw, Qaleecha, Mowan, Balan Ta Ran, Shana Deri, and Chowar Taq. There are two factions in this clan: 1-The faction of Saikh Semaili Surah Jo. 2-The faction of Shaikh Semaili Ben’e Joot. This clan resides in Halabcha and its surroundings, and in Hasan Awa, Bakir Awa, and the surroundings of the residence of NaWroli clan. They reside in the districts of Shirwana, Kifri, Qaali Jo, Mowan Tappa Sepi, and Zabet. The leader of the clan is Mustafa Qadir; and persons who distinguished themselves are Hasan Othman, Kaka Mulla, Ham’e Namiq Tawfeeq, Mahmood Karam Weis, and Ahmed Ranan. This clan resides in the districts of Garmian ‘naheiat Bawa Noor, and in Shahrazoor, and the surroundings of Khor Maal, and Bani Khelan. Among prominent individuals are Ham’e Mahmood Khal’e, and Mulla Ismaiel. This clan lives in the areas of the Shatri clan’s residences. They reside in the districts of Shirwana, Sar Qala’a, Sangaw, and the surroundings of Qara Dagh, and Mowan. They belong to the Roghzadi and Mamoi clans. They reside in the Sar Qala’a, Garmian, and Shahrazoor district. They consists 150 families. The leader of the clan is Ahmed Mohammed Beg; and among the persons are: Haji Musheer, Kweikha Namiq Ali Khasro, and Kweikha Ahmed Rasheed Pawet Modeyi. A large part of this clan resides in the districts of Halabcha and its surroundings, Hasan Awa, Bakir Awa, and on the banks of Sirwan River. They are of the first clans of the Jaff tribe who abandoned the nomadic method of living, and settled in the villages and towns. There are 600 families in the clan and lived in 16 villages of Halabcha town. Their leader is Abdulla Mohammed Khowakaram. And prominent persons are: Ali Mohammed Maref, Qadir Nadir Abdul Mohammed, Ahmed ZuL Faqar, Khalifa Mohammed Amin, Haji Meer Ahmed, and the martyrs Sirwan Hasan, Ham’e Agha WaYs, and Naozad Nawr oli. This clan consists of three factions: 1-The Peshtmaleh Kaikhesro Begi faction. 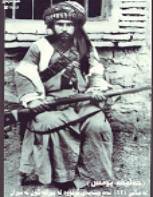 2-The Peshtmaleh Baram Begi faction. 3-The Peshtmaleh WaLadBegi faction. Peshtmaleh Kaikhesro Begi are of two parts, one belong to Harooni, led by Kareem Fattah Mustafa. The other part belongs to the Klashi clan led by Mahmood Yaar Ways. They formed the personal guards of Mahmood Pasha Jaff. This clan resides in the Sulaimania districts, Sarchinar, Sordash, Bazian, Cham Chamal, Qala Sioka, Keh Lee Khan, Saqez, and Neh Ke Rose. They are of four factions, viz. 1-The Qara WaYsi Faction 2-The Meer Alaie Faction 3-The Goma Yi Faction 4-Smaiel Uzeri Faction The leader of the clan is Haji Ibrahim Cheh Rem’e Ga. They live in the districts of Kalar, Cokis, DahKkah Haji Ibrahim, Qola’e, Khanaqeen, Kifri, Shirwana, Taza Dee, Qola Sotaw, Koieh, Doz’e Kheder, Roseeba Lekan, and Halabcha. There are three factions in this clan: 1-Janbaz 2-Agha WaYsie 3-Hama The leader of the clan is Fattah Rustom, and among prominent individuals are: Haji Sulaiman, Haji Mohammed, and Haji Qadir. This clan was the personal entourage of Begzadeh Jaff. In 1820 the fighting force of the clan was 30 cavalrymen, and 60 armed infantry. They reside in the districts of Zemnako, Shamiran, and Khor Mal. In 1820, the clan consisted of 750 families. They are of three factions viz. : 1-Khal’e 2-Mam’e Sh’e Ye 3-Bigzadeh The leader of the clan is Mohammed San Ahmed; and prominent persons are: Ahmeh Hussain, Tawfeeq Faraj, Ahmed San Ahmed, Mahmood Ham’e Chraagh, Mohammed Amin Tamas, and the martyrs Ham’e Shamirani and Kareem Abdullah Khasa. This clan resides in the district Qala’at Shamiran and Tawgoz. 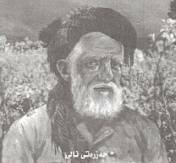 Their leader is Saied Abdullah; and the well-known Kurdish poet Maolawi belonged to this clan. This clan is a faction of the Zardoei clan of the Jaff Jwanro in Iran, then immigrated to Shahrazoor district in Iraq 300 (three hundred ) years ago and settled there. The well-known Kurdish historian Mardohk stated in his book (The History of The Kurds and Kurdistan) pp. 138 that the following clans belong to the Jaff tribe too: Shwan, Shibzini, Ghe Wara, Be Sa Ree, Qah Wel’e Yee, Bah Dakhi, Chochani, and Sharaf Bayani.